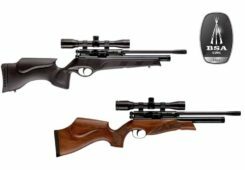 In the last article, I talked about the maximum theoretical PCP airgun power, and how at best we only achieve about half of that and why. First we need to understand how to get maximum power before we can understand how to tune a PCP. 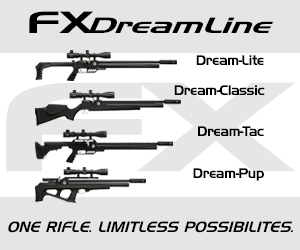 To get maximum PCP airgun power – FPE – at any given pressure and barrel volume, we need maximum airflow, for the entire time the pellet (bullet) is inside the barrel. 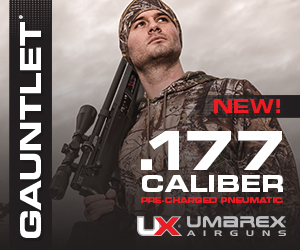 The amount of air that can flow within the gun is limited by the pressure and the caliber. 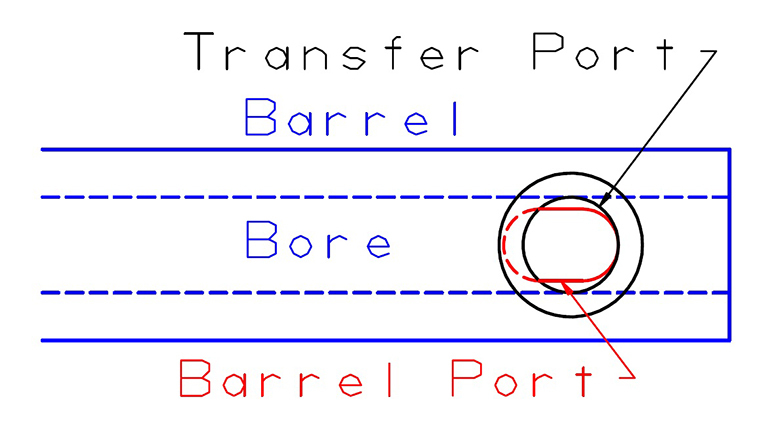 If all the porting is of equal area to the bore, then the pressure at the base of the pellet will be as close to the reservoir pressure as possible throughout the shot. 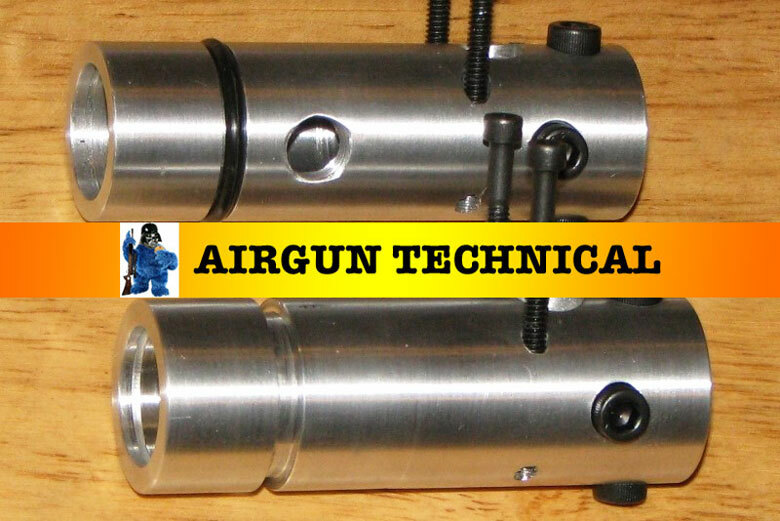 For the valve exhaust port and the transfer port, that is simple, they need to be the same diameter as the caliber. But in a conventional PCP, there are three places that does not apply. 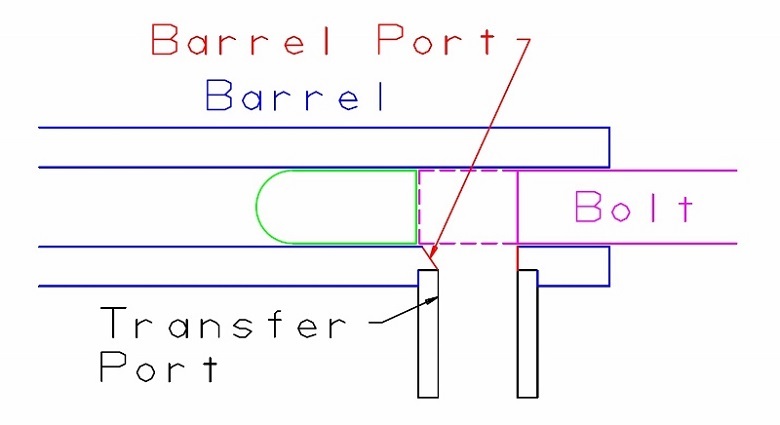 If we make the barrel port the same diameter as the bore (assuming the port is on the bottom of the barrel), the pellet will try to fall into it when loading, and can be damaged. About the widest port you can have and avoid this problem is 75-80% of the caliber. 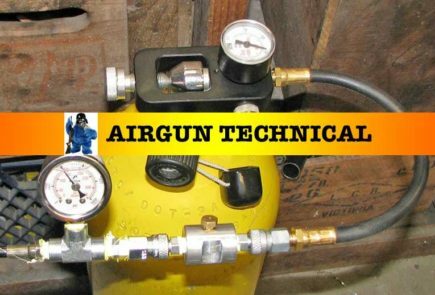 The other two places that are a problem are the throat of the valve and the chamber in the barrel. Normally these are partly obscured by the valve stem, or the loading probe for the pellet, which reduces the area. 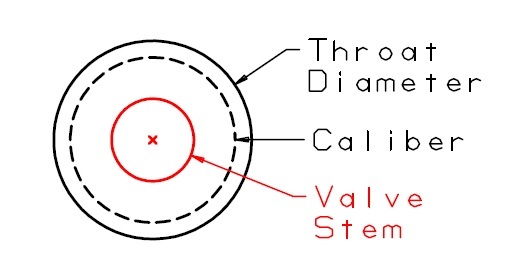 For the valve throat, it needs to be larger than the caliber to allow for this. I like to have the annular area of the throat about 10% larger than the bore area, to compensate for the flow obstruction of the stem. We can’t do this with the barrel chamber, so the way to get full airflow is to retract the bolt after loading the pellet. In the drawing above you can see a side view of the tapered, oblong barrel port in red. The nose of the bolt (magenta) is flat, with no probe, and the bolt is withdrawn after seating the pellet so that the airflow is unobstructed. 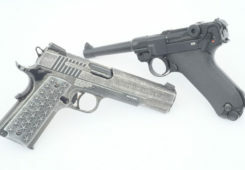 This can be achieved with a “J” slot for the bolt handle, as in the photo below. 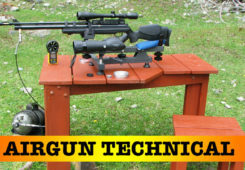 This shows the attention to detail that is required to obtain absolute maximum PCP airgun power. You must also have a larger “inlet” into the valve than “exhaust”, a hole the same size as the valve throat or larger is required. Simply put, allow more air into the valve than can get out to avoid power loss. However, an unobstructed air path is only one part of the problem. 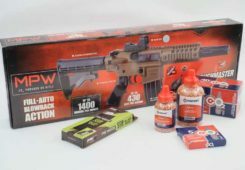 We must also have a valve that is capable of staying open while the pellet (bullet) is in the barrel, and not closing prematurely, or staying open too long and wasting air. 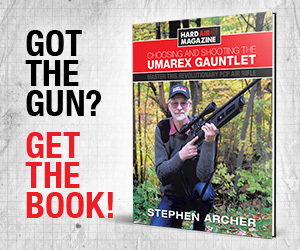 After all, you can’t push on the pellet after it leaves the muzzle! 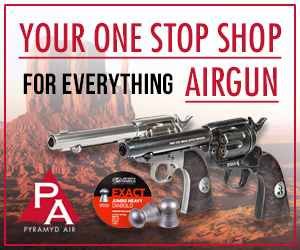 For maximum PCP airgun power, without wasting air, the valve would stay open until the pellet leaves the muzzle. 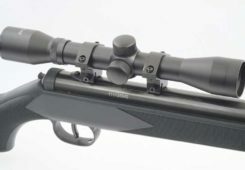 This would be the maximum usable dwell (aka duration, the time the valve is open), and it will depend on the pellet weight, barrel length, and other factors. In a conventional PCP, with a “knock open” valve, the valve is held closed mostly by the air pressure inside it (assisted by the valve spring). To open that valve we hit it with a hammer or striker driven by the hammer spring. 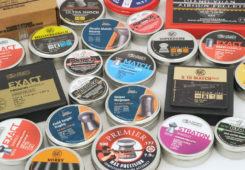 The higher the pressure in the valve, and the larger the valve throat, the harder it is to open, and the faster it wants to close. 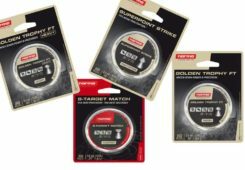 This means that larger calibers require more “hammer strike”, ie a harder hit to open the valve long enough to produce the FPE we seek. Until the advent of the balanced valve (relatively recently) this actually limited the power of Big Bore PCPs. 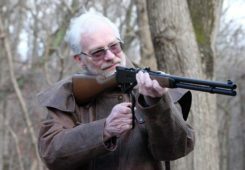 I built a .457 cal. 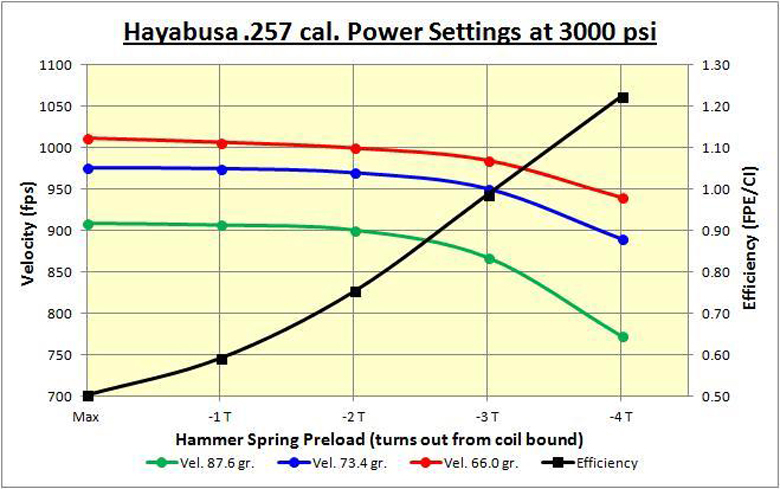 I called the “Hayabusa” which will deliver 550 FPE, but it takes a hammer that weighs over ½ lb. with a 2 inch stroke, and 28 lbs. of cocking force to do that! 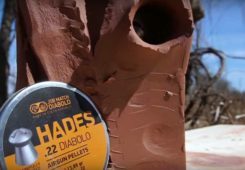 Balanced valves are a subject I will deal with at a much later date, but they are a game changer, particularly in the search for big PCP airgun power. 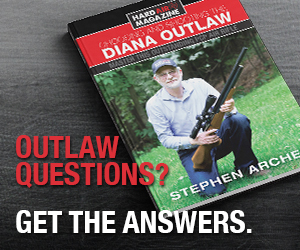 Any PCP will have a maximum velocity that occurs when the valve is open until the pellet (bullet) leaves the muzzle. I call that the “plateau” velocity, the point at which additional hammer strike does nothing but waste air, because it is holding the valve open after Elvis has left the building. The chart above shows three curves for the same gun, with different bullet/pellet weights. In all cases, adding hammer strike past a certain point just wastes air. 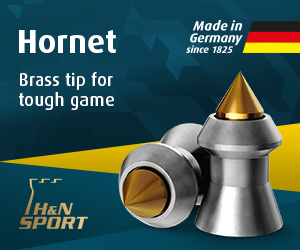 You need a bit more hammer strike with a heavier bullet, because it spends more time in the barrel, and needs a slightly longer valve dwell. The thing to note is that as you fall just below the plateau velocity the efficiency goes WAY up. 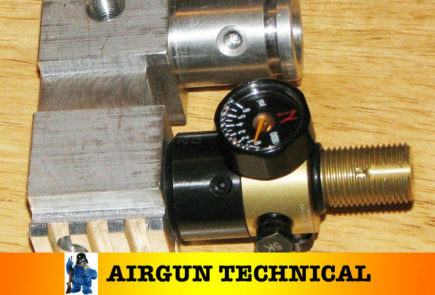 This is key to PCP airgun power tuning, and I will address that in a future article. That point on the curve I call the “knee”, and I will use that term a lot. Now you know what it takes to get maximum power in a PCP, to challenge my “lofty goal”. 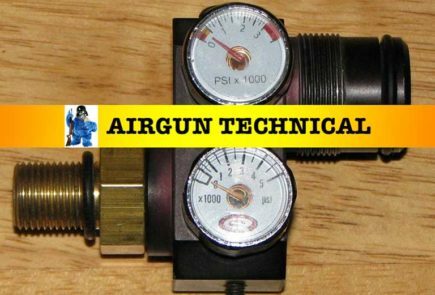 In the next articles I hope to return some sanity to the discussion and help you understand how to use port sizes and valve dwell, in combination with air pressure, to “tune” your PCP efficiently. PCP Efficiency – What Is It? – What Changes It? An Introduction To The PCP Regulator. Don’t Ignore The Plenum!